“I love to tell the story, ‘twill be my theme in glory, to tell the old, old story of Jesus and his love.” Raised by Christian parents who were Baptist-Presbyterians, I was offered many opportunities to share God’s story with others in a variety of ways—from flannel-graph to flip-books to puppets to clowning and more! Yes, the sharing of God’s story has been a central theme of my 35 years of educational ministry. I love to tell God’s story. In 1989, Sonja Stewart and Jerome Berryman introduced a “new” way of sharing God’s story using simple wooden figures and felt underlays. I was introduced to these figures a few years later and became a huge fan. Their format for a new generation was quiet, simple, and full of grace that allowed children the opportunity to “wonder” about God’s story in a spiritual way. I began a children’s worship ministry at my church in Nashville using the Montessori-style approach that Stewart and Berryman designed and was amazed at the response. Young children, gathered in a circle on the floor, sat motionless as I told the story for the day. No wiggles. No giggles. Just pure wonder. Each Sunday morning quickly became the highlight of my week. When the figures became too costly to purchase, I asked my dad (who could “do everything,” in my mind) if he could cut the figures using the patterns provided in the book. He began to cut figures and scenery for me on his band saw. Soon my storytelling room was filled, not only with the stories chosen by Stewart and Berryman, but also with stories of my own choosing and design. As each new story was introduced, I watched young children (and adult helpers) become engaged in God’s story in a new way. They were finding themselves in God’s story and recognizing God in their story. 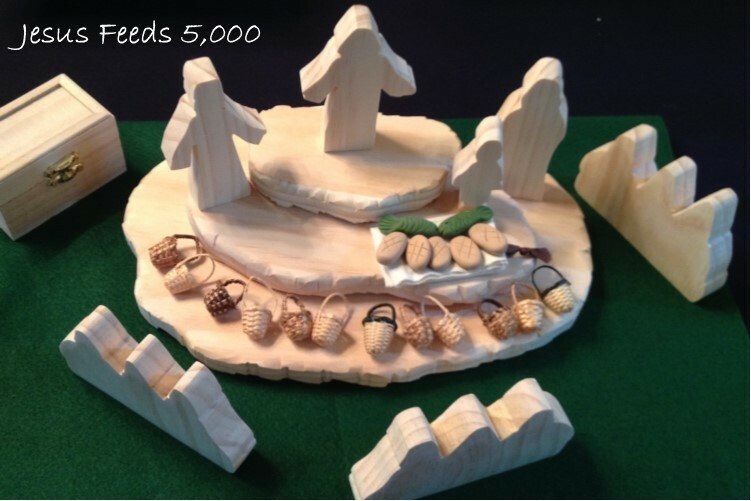 Soon, I began using these simple wooden figures to tell stories in our Weekday Preschool Chapel and in Sunday School classes and with women’s groups and in teacher development sessions. These silhouette figures, made of pine wood, had no varnish or paint. They had no faces or details; these were left to the imagination of the hearer. For years, my father, who had been my first storyteller, cut figures for my work. Church after church, preschool after preschool, cutting and sanding each one by hand with patience and love. In 2010, an illness forced me to “retire” from full-time work and I felt like I had lost my way. Did God have a -use for me anymore? What would I ever be able to do with the physical limitations I was forced to live with? Then, my daughter called, “Mom, can you cut me some figures to use in my church?” It seemed God wasn’t finished with me yet! With the help of my aging father, I learned to cut those same figures he cut for me but this time they would be used for the next generation. A hobby soon grew into my “not-for-profit” business named Generation to Generation, in honor of my father and mother who passed along God’s story to me all those years ago. Today, I cut wood figures and design stories for educators, parents, grandparents, and preschools who want to share God’s story “generation to generation.” I’ve redesigned most of the figures and have added stories to match Sunday School and VBS curricula and the “God Loves Me” storybooks by Faith Alive Resources. 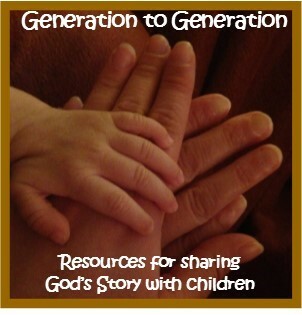 I started posting my story sets on Facebook through my Generation to Generation page and, with the help of my son, I now have a website: www.generationtogenerationresources.weebly. I’ve been invited to “show my stories” at training events and workshops and I’m constantly amazed at the emails and texts that come asking if I have a particular story. In my woodshop, I cut and shape each figure individually as I enter God’s story anew and wonder with God about the marvelous love shown to men, women, and children so long ago. I sing the old hymns as I sand, and I pray for the children who will hear God’s story as I pack my creations into a box and ship them to those who will continue to tell God’s story. 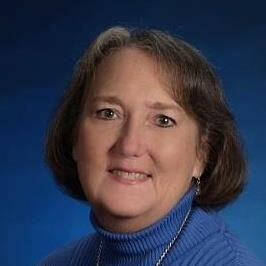 Krista B. Lovell is a PCUSA Certified Christian Educator who has served a wide variety of churches over the past 35 years. She is a curriculum writer, educational designer, and woodworker who enjoys providing resources for those who want to share God’s story. She currently serves as the Mission Coordinator at Faith Presbyterian Church in Huntsville, AL where her husband Tom is pastor. You can contact Krista at [email protected] and see her work on the Generation to Generation Facebook page or on her webpage.